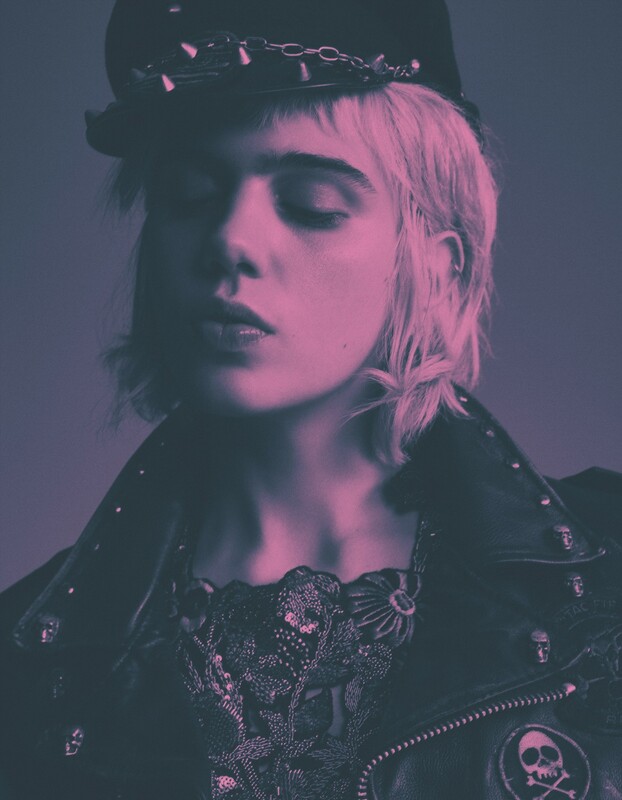 Thus, her collaboration with Katy England for the new issue of Another Man is the ultimate realisation of her aesthetic, presenting model and musician Julia Cummings transformed into a Susie Quatro-style easy rider, while her counterpart, Wild Daughter frontman James Jeanette, becomes the ultimate “underground object of desire,” inspired by sixties leather zines like Sir Gee and Kick. “I'm really into idol worship,” she continues to explain, “I love to put musicians on a pedestal and create characters for them that fulfill my personal fantasies. It always comes from who they are and what they do, but it's an elevated version of reality. That's what those zines were all about – fantasy and idol worship – and it's something I really relate to." 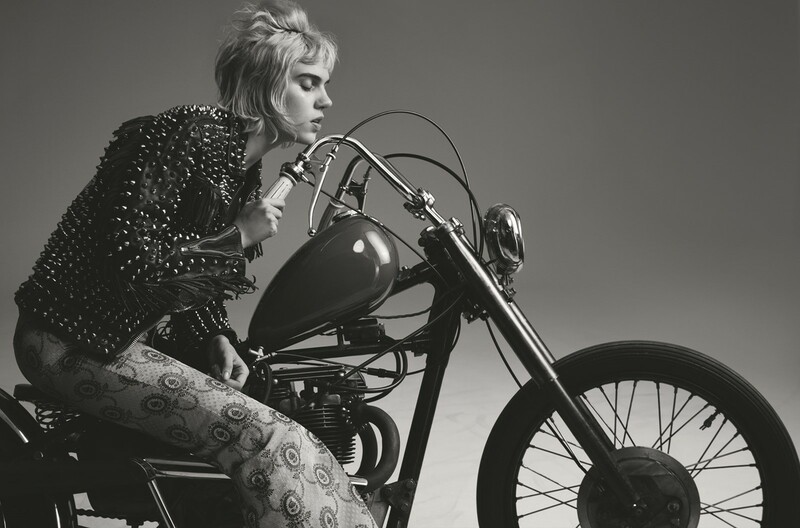 Here, we present the full shoot in all of its chaps-laden, Triumph motorbike-resplendent glory, accompanied by an exclusive playlist by James Jeanette. This story appears in the S/S16 issue of Another Man.